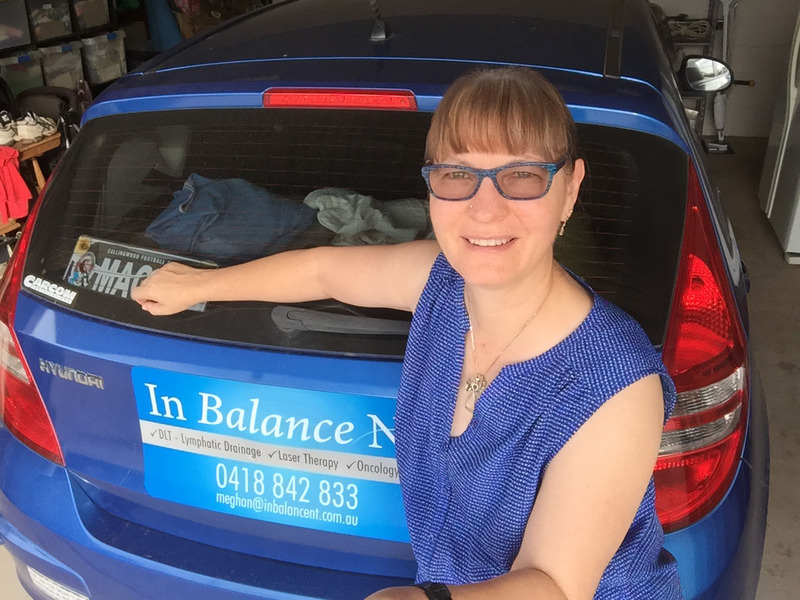 Meghan is a registered nurse who runs a local business in Darwin, Australia, specialising in oncology massage and lymphatic drainage. 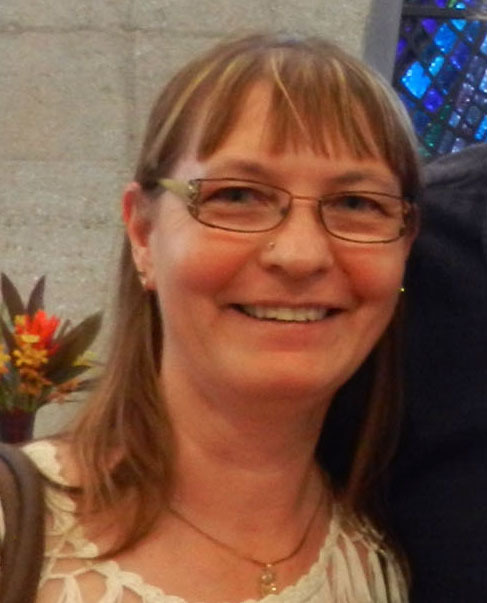 This interview with Meghan is the first of a series of practitioner interviews created by Omanisa. Tell me what you do. Tell me about your work. 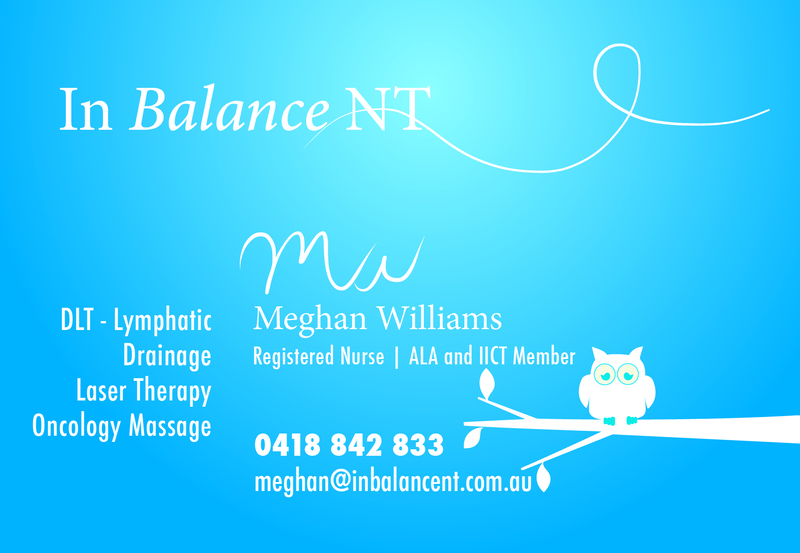 I have two areas of specialty treatments with the first being lymphatic massage/drainage. I work with clients who have dysfunctional lymphatic systems. Sometimes I’m diagnosing this, something I’m working with people who already have this diagnosis and they just need to see somebody regularly for maintenance purposes. I work with people pre- and post- surgery. I work with clients who are just at the beginning of their cancer journey, right through to the end stage where I am providing deep relaxation treatments. With the lymphatic side of my work I treat with manual lymphatic drainage/massage and also provide advice about exercise, skin care and compression bandaging for limbs. I use a low level medical laser and kinesio tape where appropriate. I also have training in a relatively young modality of Oncology Massage Treatments. At the heart of Oncology Massage is the premise of deep relaxation, providing an environment for the body to ‘sigh’ and heal. It is extremely light pressure (as light as with lymphatic work or even lighter and oil is used) and rhythmical in nature. It is known to reduce nausea, anxiety, pain, depression and more. Tell me what you love about your work. I love it when my clients leave feeling there are finally some answers for what’s going on for them, and I love being able to teach them how to manage some of this themselves. I love being a person that people want to come back to because they can see the value in what I have to offer. With the oncology massage, I absolutely love the fact that I give people a place for utter relaxation. There’s nobody that doesn’t love that! To see the benefit you can provide for someone who maybe somewhere along the cancer road is very special. In a way, another joy is the fact that the Oncology Massage is also great for people who don’t have cancer. What drew you to this modality? I’ve always been involved in community health and I love working with people. I’m a registered nurse and I had breast cancer myself seven and a half years ago. I was diagnosed pretty much straight away with lymphedema and the universe kind of went “thump! wake up!” I was so taken with this modality that I went and trained in the lymphatic side of things. I just knew that this was where I needed to be, but I was scared to jump in professionally at first. And then when we moved, the universe arranged things in a way where I didn’t actually have any choice but to do this. Since then I have studied oncology massage and I’ve been doing this for two years now. I was initially drawn to this during my lymphatic training; I just felt as though I had a natural calling for it, and I’m about to do my advanced training in July. I just love it! I have had the opportunity to work with three palliative care clients recently. I’m used to working with clients who come to my clinic and the majority are people who are quite capable of rolling over on the table and don’t have too many difficulties moving into different positions. By comparison, the palliative care clients are more often than not at the end of their life journey and there is more medical equipment attached which means you need to be more creative and flexible in your treatment. It is important to consider what needs to happen in palliative care. How do you cope with your clients dying? I seem to cope with it okay. I’m not saying I don’t feel sadness. You lose a young mum and you are very aware of the tragedy for their children and families. But the absolute beauty of doing the palliative care work was the look on my clients faces during and after the massage. They haven’t known it was possible to feel so good at this stage in their journey. People really can benefit from this work. I really wish oncology massage was made more readily available to palliative care clients. I cannot explain the…. oh there aren’t words for it… the “Yes!” feeling I get from doing this work. Because you are making a difference? And do you have a vision for the future? I would love to be booked out with oncology massage because this would mean more people are receiving it!